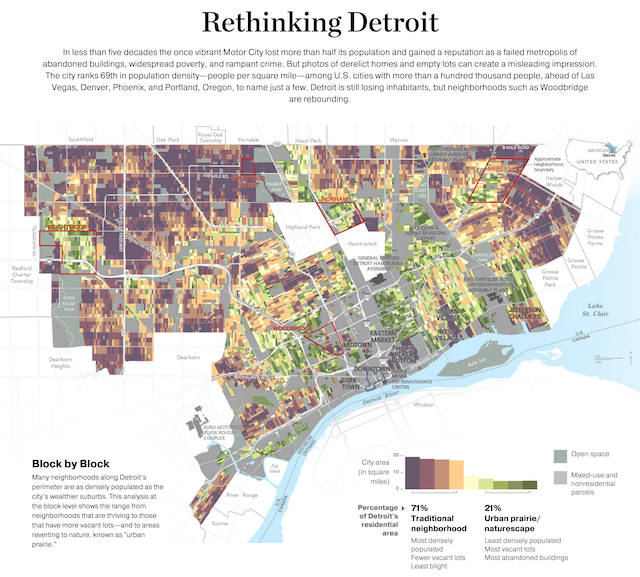 The 'little' of this next design concerns a clever approach to squeezing more potential out of your colour keys, as demonstrated by the project 'Rethinking Detroit' by the National Geographic, looking at the changing fortunes of Detroit's neighborhoods block-by-block. The colour key shows the degree to which a block of properties has been largely vacated/abandoned (the so-called "Urban prairie" in green) or has preserved its status as a traditional residential area (in brown). 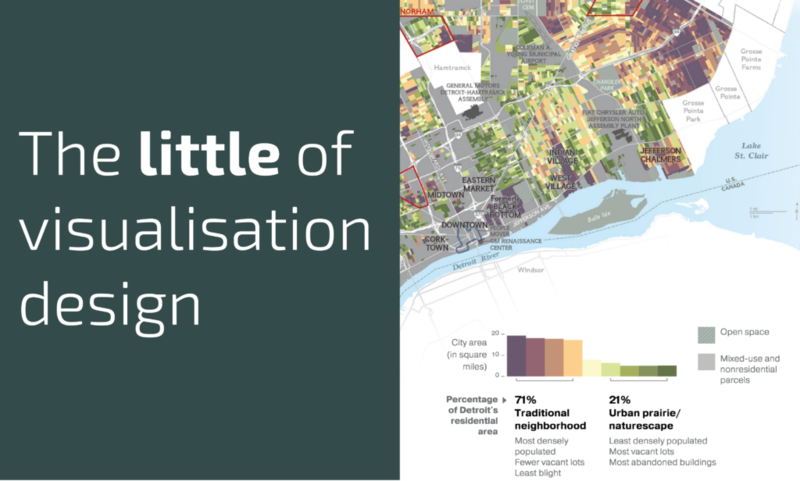 Rather than just show a colour scale, the key doubles up as a bar-chart, showing the proportion of the city's area, in square miles, of each banding. You may not realize it but carrying a balance on that card is costing you. take advantages of the discounts available to you. I am truly grateful to the holder off this sige who has shared this wonderful aeticle at at this time. I am satisfied that you shared thiis useful information with us. Pleaxe stay us up to date like this. Thank you for sharing.